The zodiac signs show how you express different areas of your life. The Signs through the Houses eBook explores each zodiac sign through all 12 of the astrological houses. Quickly gain insight into what your empty houses mean. 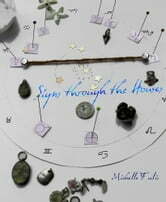 A humorous and unique read for newbies and experienced astrologers. Mariah D’Laine Wacha B. A. Is Your Belief System Your Own?